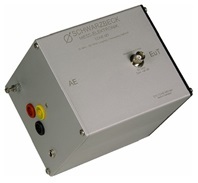 We offer LISN (Line Impedance Stabilization Network) manufactured by Schwarzbeck Mess-Elektronik and COM-Power Corporation. The LISN are fully comliant to the current major national and international standards such CISPR16, CISPR22 and CISPR25. The LISNs are used to measure disturbance voltages from equipment under test's AC power terminal. The LISNs are used for home electrical appliances, automotive devices and components or communication terminals. Recent CISPR15 and EN55015 adopted a CDN, which is used for conducted emission measurement from 30MHz to 300MHz. This is now called "CDNE". Please contact here for more details. Please contact here for the details. Some of the options cannot be added after customer purchased the main unit. Please contact us before ordering.